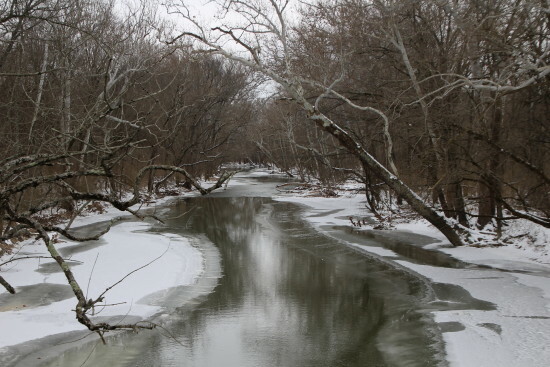 The winter season delivered below zero temperatures and snow to Ohio last week. 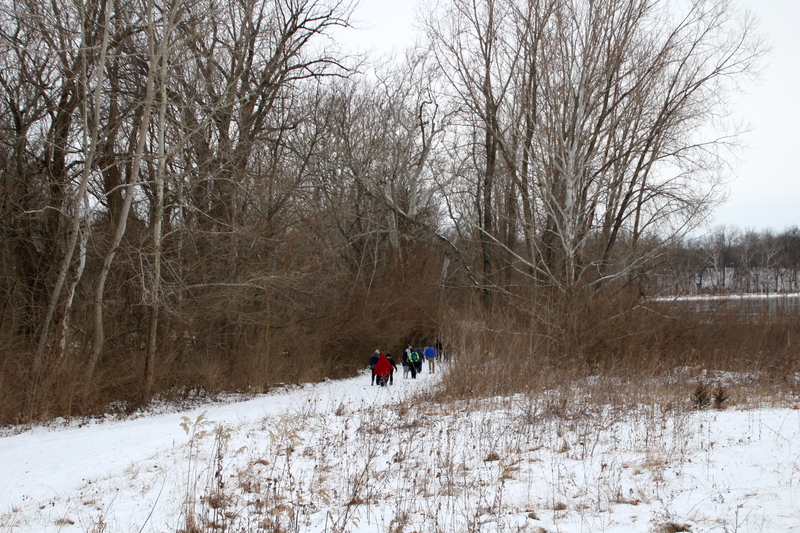 But on Sunday, we enjoyed a bit of a “heat wave” with 30° F temperatures. 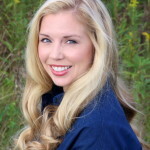 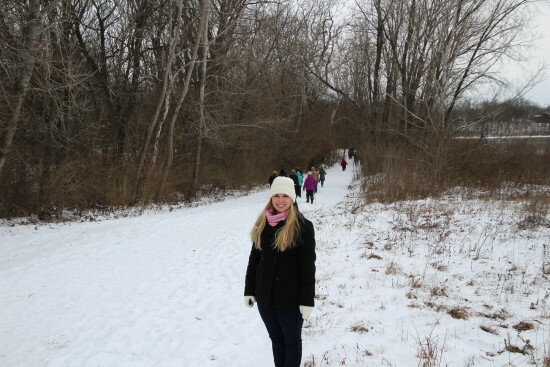 After the freezing weather, I wanted to take advantage of the “warmer” temperature and get outdoors to enjoy nature and the crisp, white snow. A perfect way to appreciate nature around Columbus is to visit one of the many Columbus and Franklin County Metro Parks. 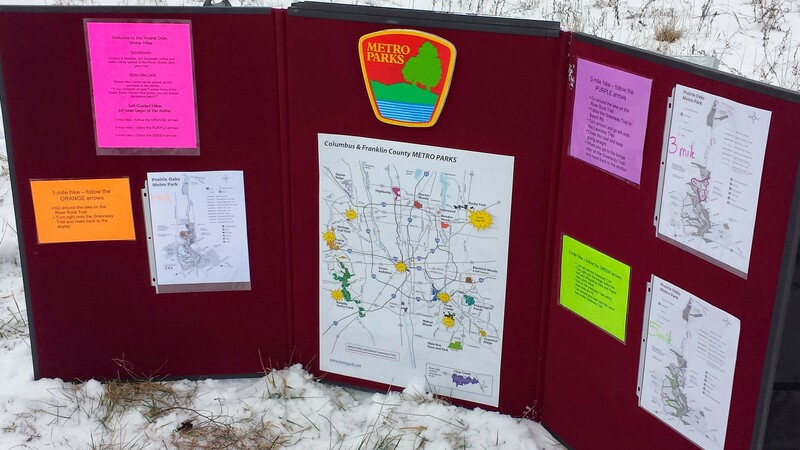 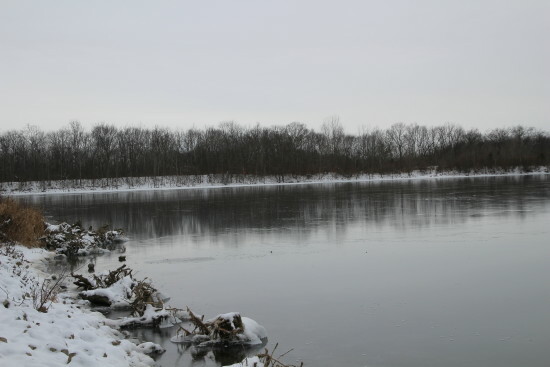 During the winter months, the Metro Parks feature a Winter Hike Series in twelve of the parks in Columbus and Franklin County. 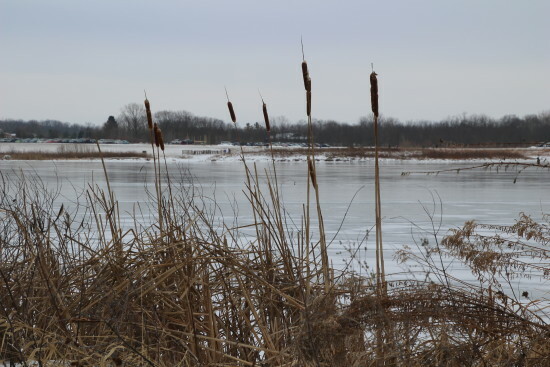 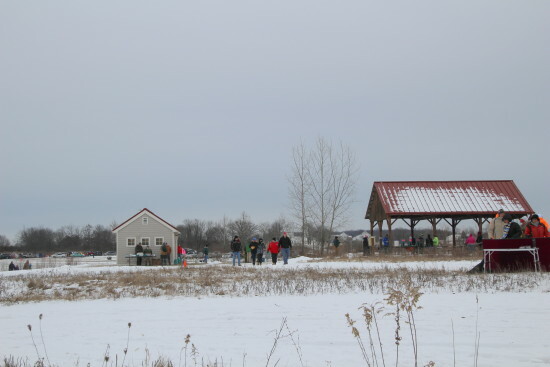 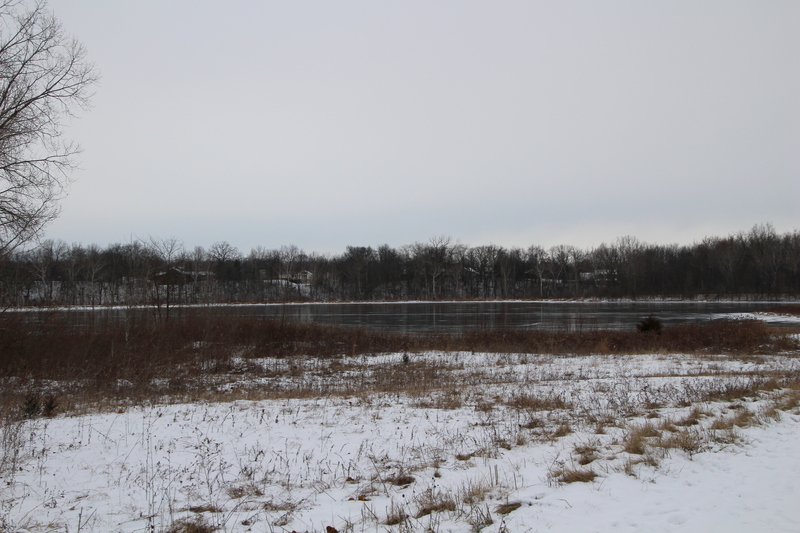 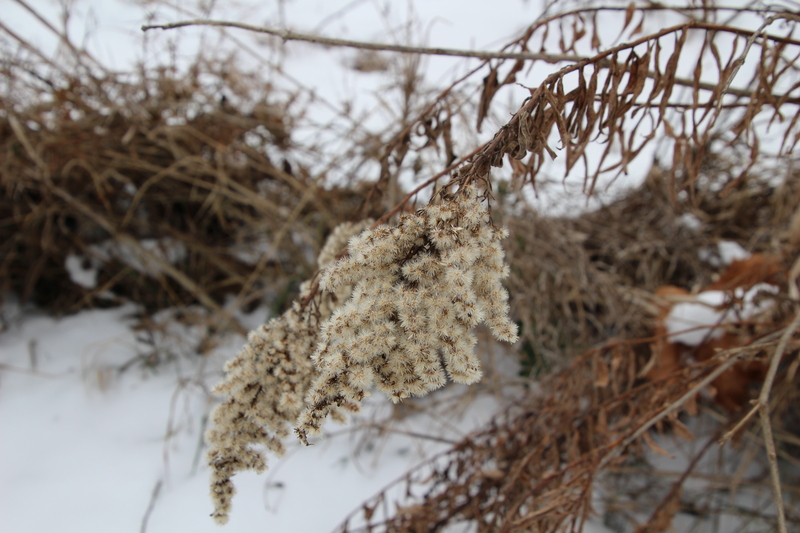 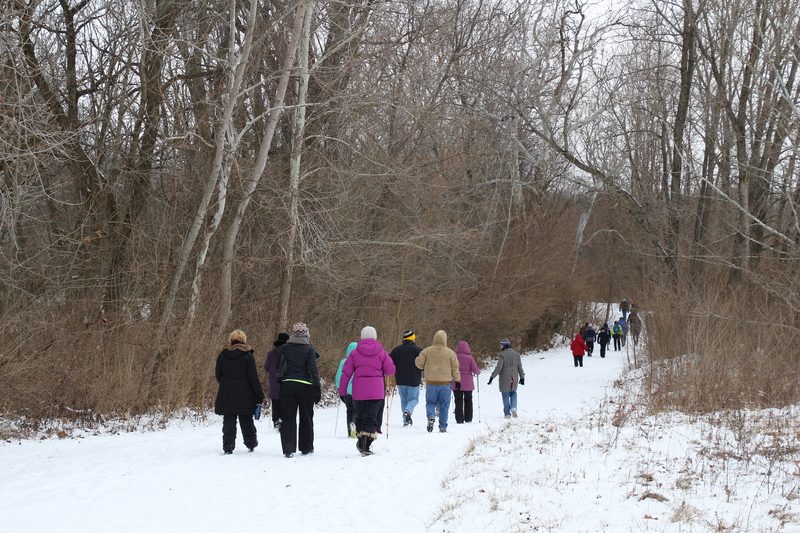 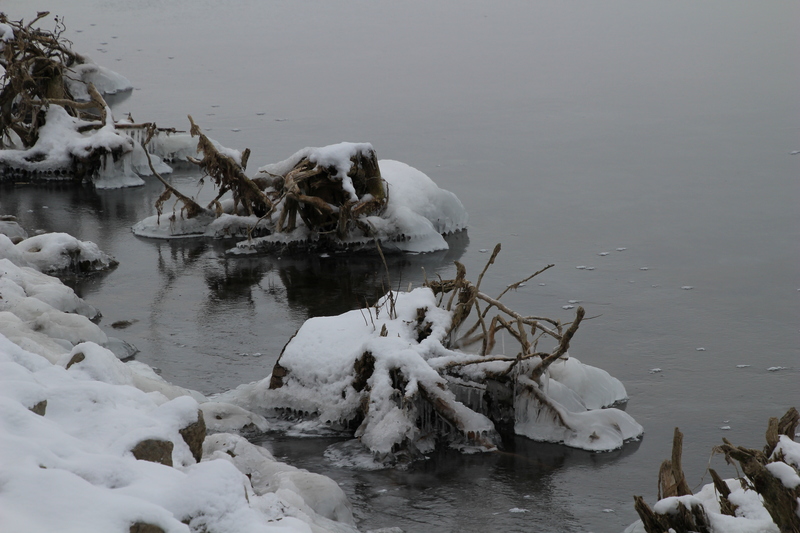 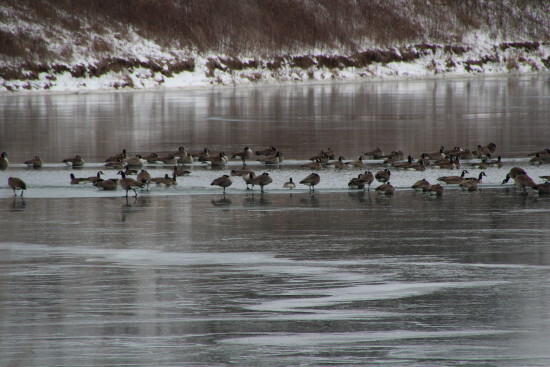 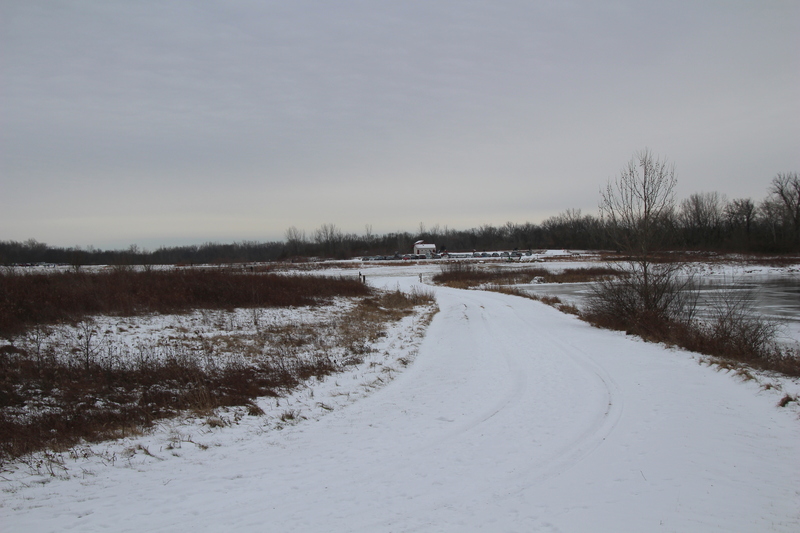 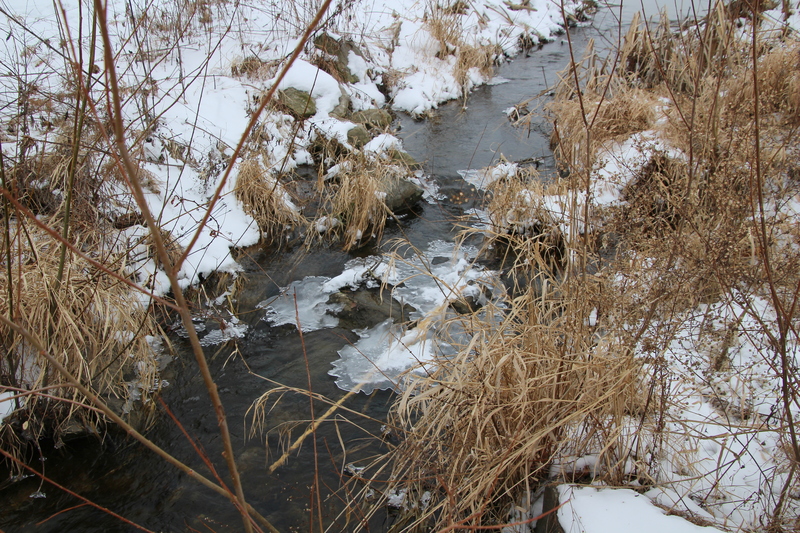 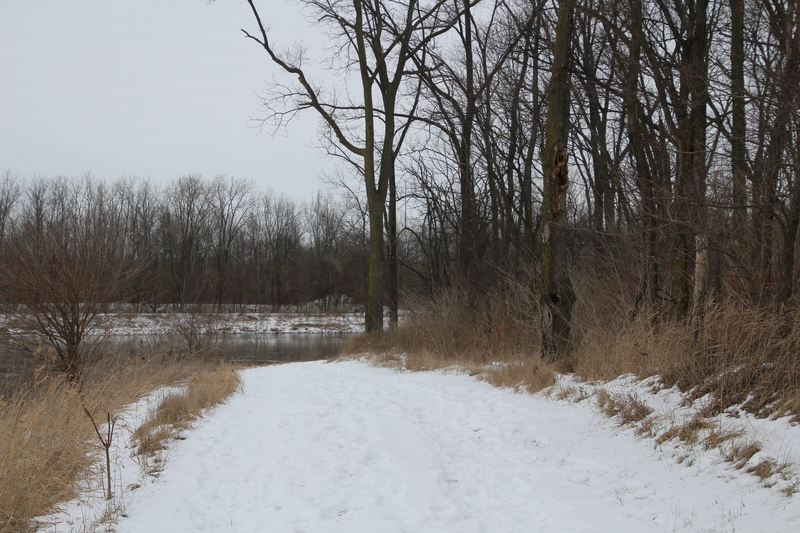 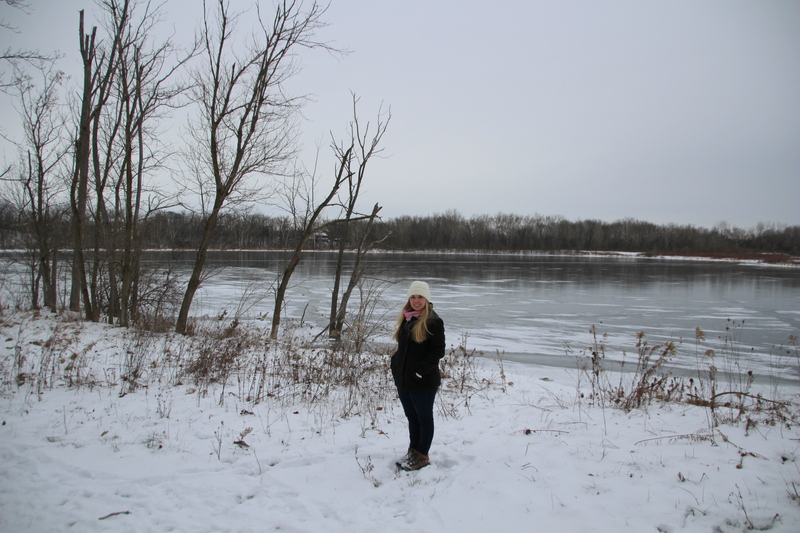 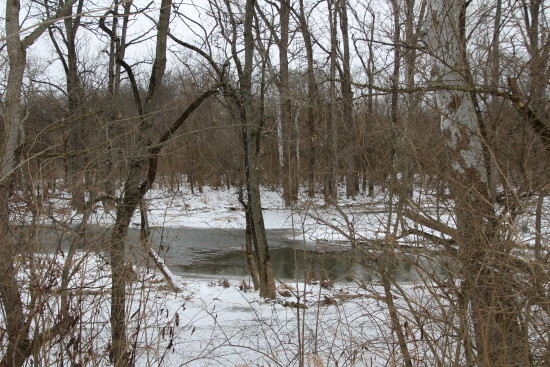 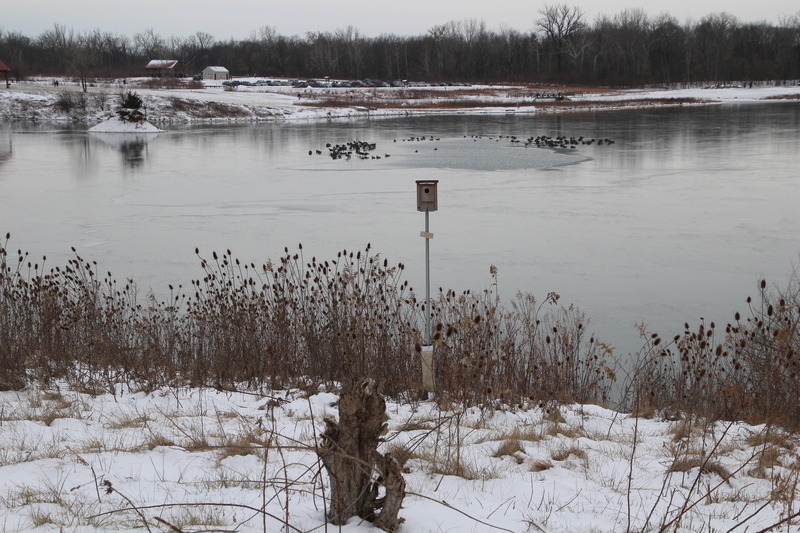 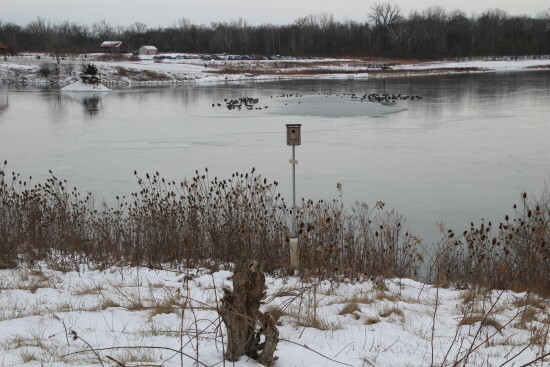 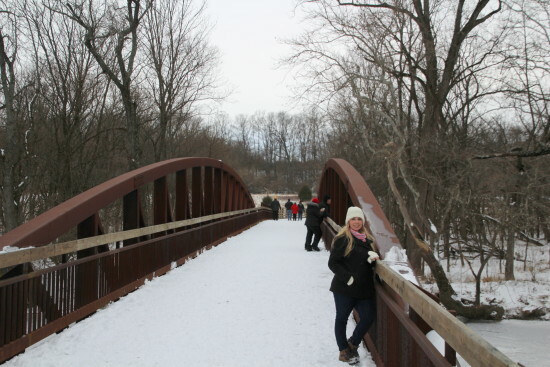 Sunday’s winter hike was at Prairie Oaks Metro Park, which spans between Franklin and Madison Counties. 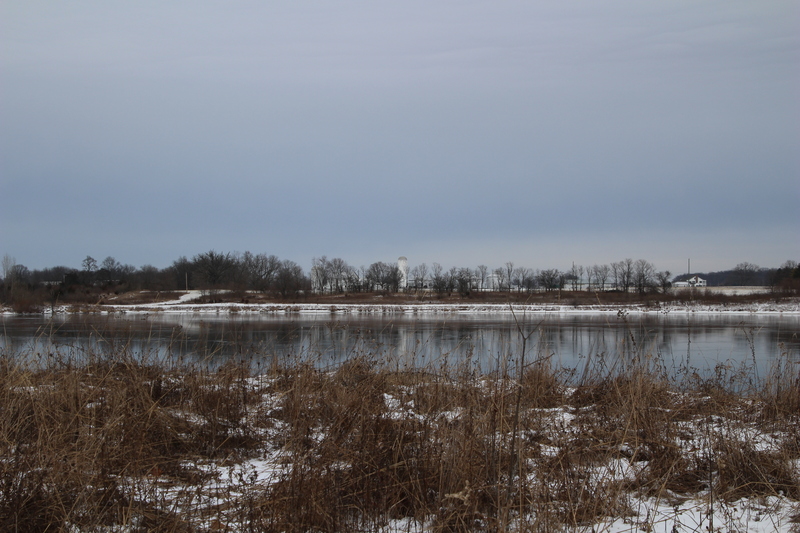 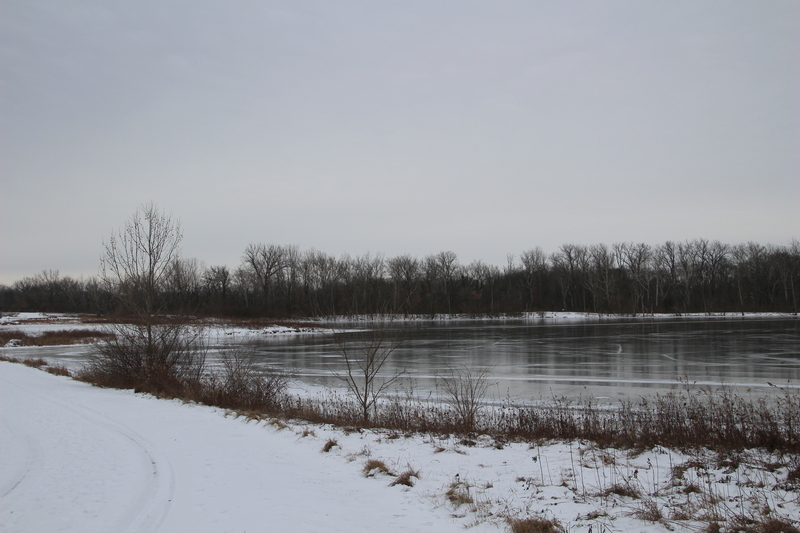 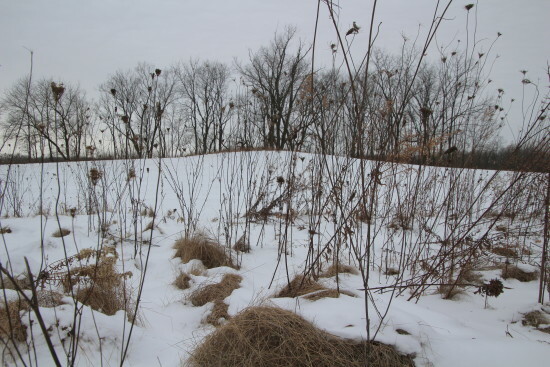 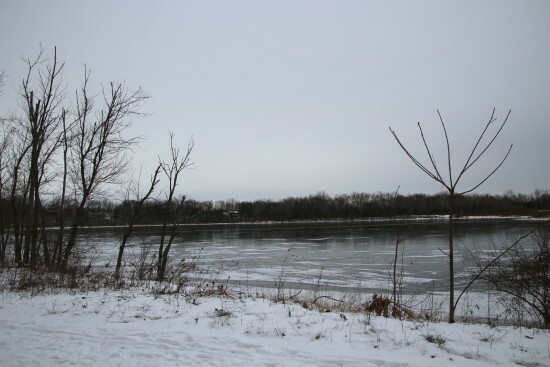 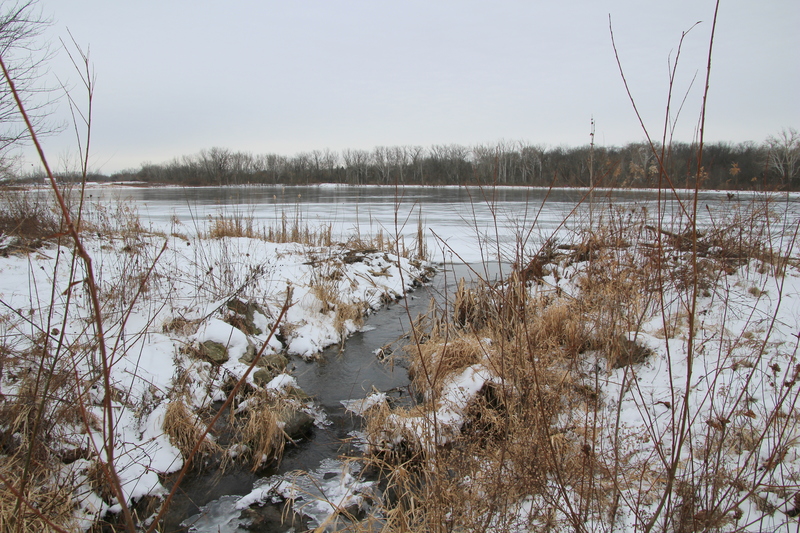 Prairie Oaks Metro Park consists of 2,123-acres and is named after the 500-acres of restored prairies and the large amount of bur oak trees that flourish throughout this natural park. 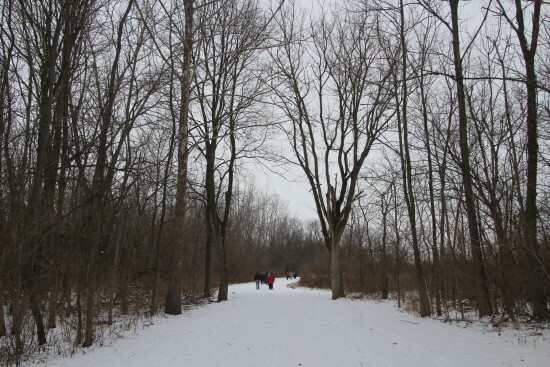 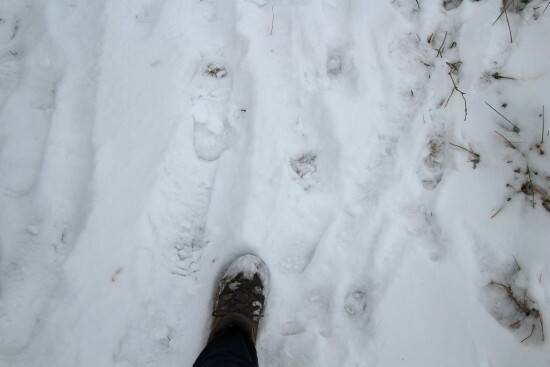 This winter hike offered hikers the choice of a 1, 3, or 5-mile self-guided trek throughout the park. 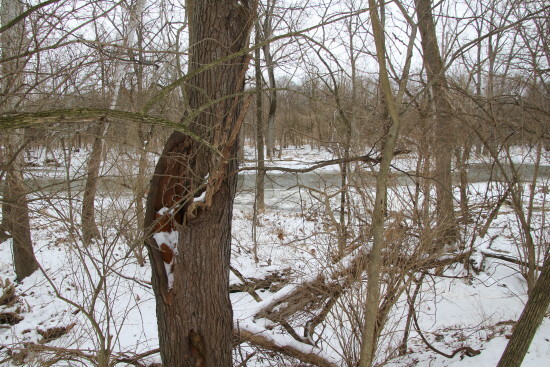 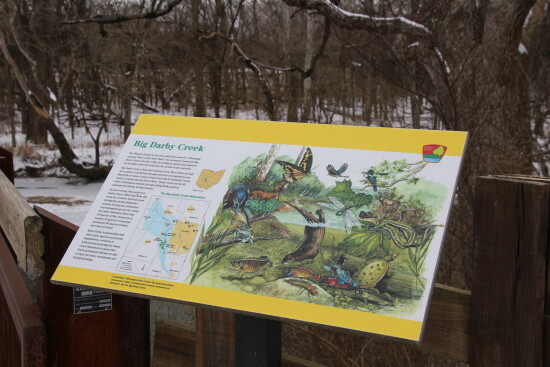 I choose the 3-mile trail with a nice trek beside the Darby Creek and around the lakes of Prairie Oaks. Although the sky was gray and cloudy, the 30°F temperatures and the winter beauty made it perfect to enjoy the great outdoors! Walking through the winter wonderland, capturing wintery scenes with my camera and breathing the fresh air, it was a great day to be outside! 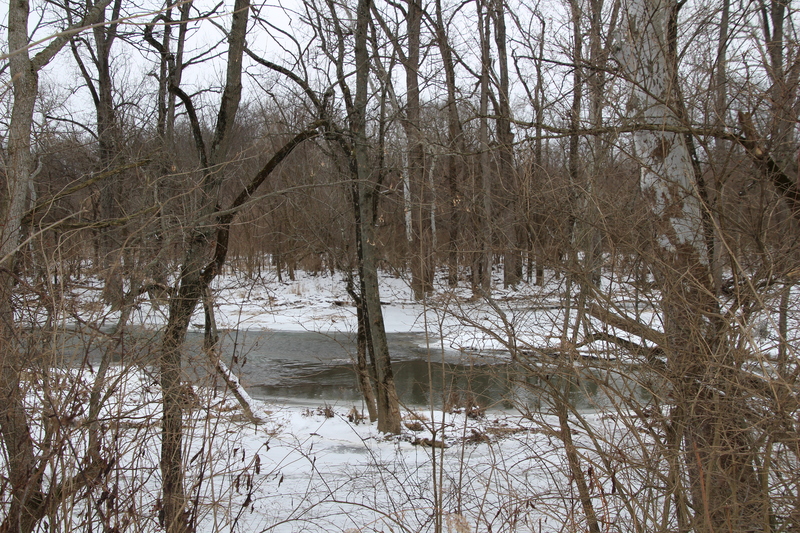 With beautiful crisp snow on the ground, animal paw prints in the snow, birds, squirrels, and rabbits frolicking in the winter splendor, beautiful frozen lakes and natural ice sculptures, and the sound of the water trickling from the unfrozen Darby Creek made it easy to appreciate a winter afternoon. After completing the hike, visitors were served refreshments such as hot chocolate, hot soup, cookies, and water at the picnic shelter. I treated myself to a cup of hot chocolate and a cookie, it was the perfect end to the winter hike! The Winter Hike Series is going on now through February 28, at various metro parks in Franklin County. I encourage you to get outside and enjoy the great outdoors, even if there is snow on the ground and cold temperatures. Just bundle up and wear warm, water-proof boots and you will feel energized and connected with nature! What a beautiful park. We have been there several times. 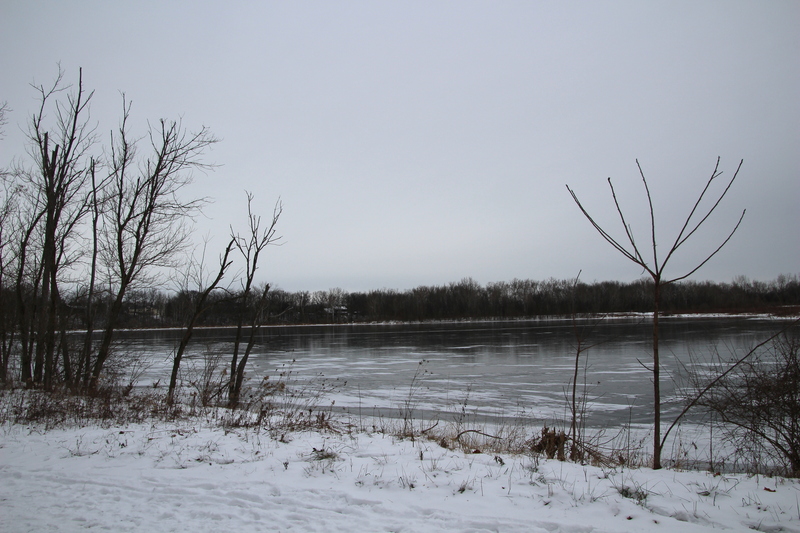 Thanks for the winter views. 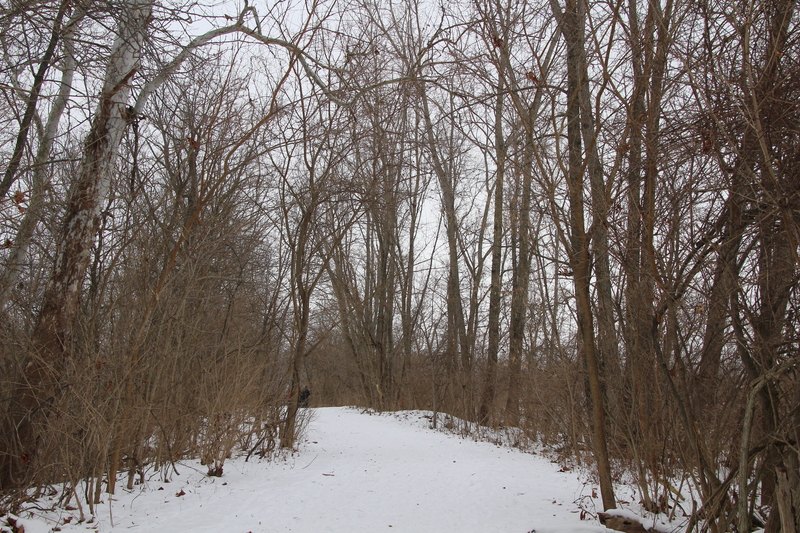 It is a beautiful park! 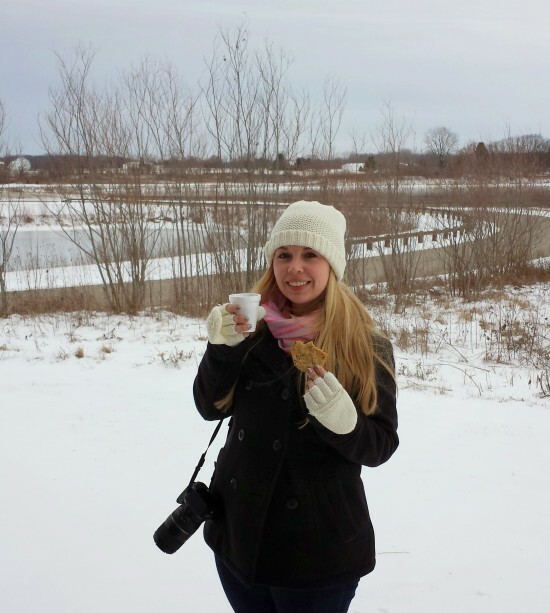 Glad you enjoyed the winter photos!